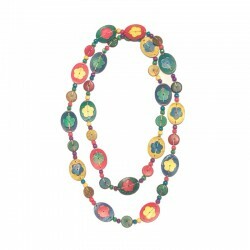 Fancy mixed beads and fabric necklace, handcrafted in Bali. 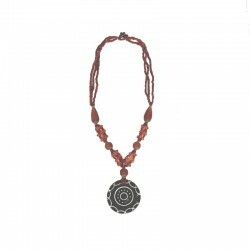 Elegant necklace in beads of rocailles with its round pendant in natural matter and an eye of Saint Lucia in its middle.Clasp coconut buttonhole. 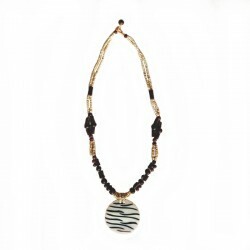 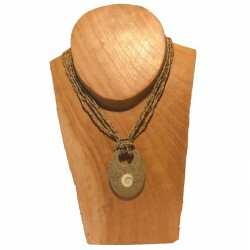 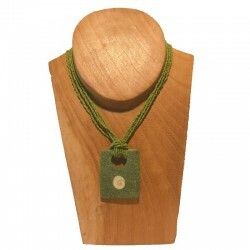 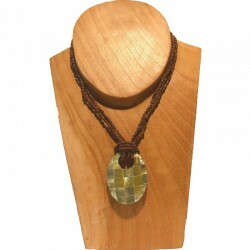 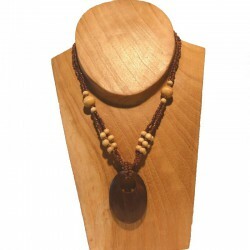 Pendant 5 cm diameter.Ethnic necklace handcrafted in Bali, original jewel that will suit all your outfits. 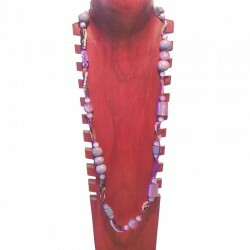 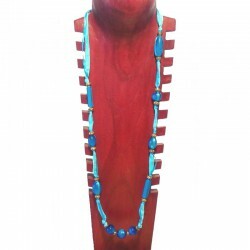 Beautiful double necklace in wood and metal beads, painted in different colors, made in Bali. 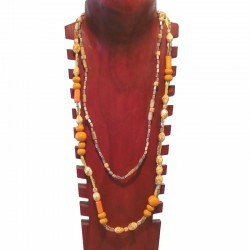 Elegant necklace in beads of rocailles with its rectangular pendant in natural matter and an eye of Saint Lucia in its middle.Clasp coconut buttonhole. 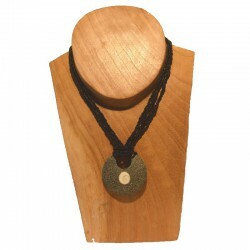 Pendant 5 x 6 cm diameter.Ethnic necklace handcrafted in Bali, original jewel that will suit all your outfits. 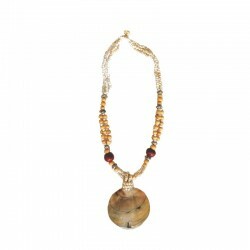 The eye of Saint Lucia is a shell considered a lucky charm in many countries.